Ducati entered the cruiser segment with the Diavel in 2009 with the bike making its India debut, two years later. Since then, Ducati has kept on updating it with a few series versions like the Diavel Diesel and the Diavel Carbon. However, with the unveiling of the Diavel 1260 at EICMA 2018 (more info on the Diavel 1260 here), it is the end of the road for the Diavel. That should not be disheartening in case you wanted the Diavel as several Ducati dealers across India will be selling the motorcycle well into the second quarter of this year. Expect a few to offer some serious price discounts or give away free accessories with the motorcycle. Ducati Diavel prices start at Rs. 14.81 lakh (Ex-Showroom). Ducati Diavel is available in 2 variants and 2 colours. The claimed ARAI mileage for the Ducati Diavel petrol is 10 kmpl. A critically acclaimed power cruiser and global bestseller, the Diavel is one bike which cannot be ignored, with its blend of aggressive looks and superior performance. Also available in Carbon variants with carbon fairings and forged wheels instead of cast wheels. Q. Which is a better selection in between Harley Davidson Fat Bob and Ducati Diavel Dark? Q. Going to own my first bike. Never had a bike before just learnt to drive normal bike on road for 200kms. will it be hard to handle diavel? 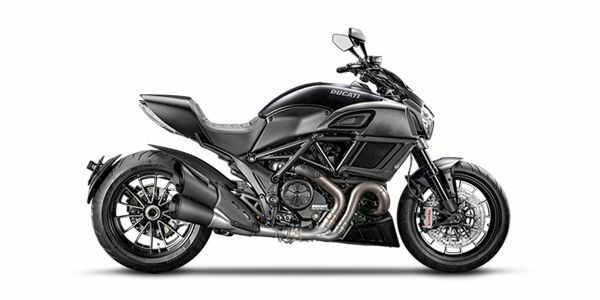 Expanding its product portfolio and entering into the class of power-cruisers with the Diavel, Ducati has handed bikers a mighty performer which has no substitute.